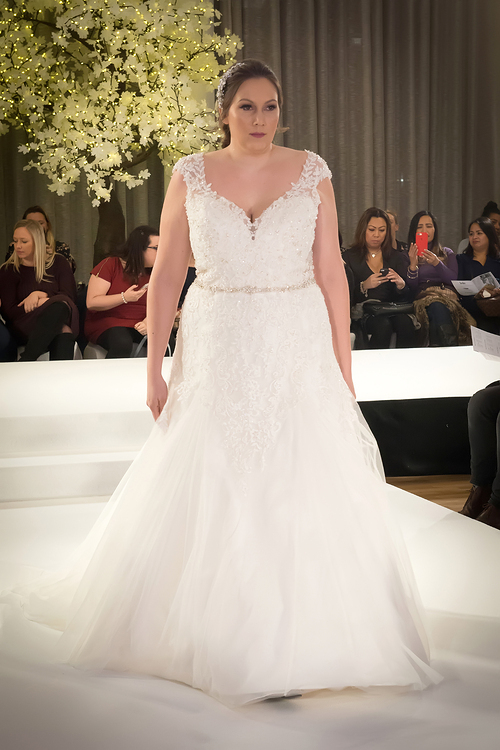 This Fairy-tale Bridal Gown Features a Bodice of Crystal Beaded Alençon Lace Appliqués on Soft Tulle. A Delicately Beaded Waistline Perfectly Complements the Cut-out Illusion Waist Panels and Illusion Keyhole Back. Covered Button Detail Along Back. Available in: White, Ivory or Ivory/Champagne.